Arrival in Milan. Transfer to the Hotel, dinner and overnight stay. Your walking tour includes: Chiesa di San Lorenzo, the Duomo, and Piazza San Carlo known as the “drawing room of Turin”. Visit the Basilica of Superga, Parco del Valentino, Turin’s second largest park. Dinner and overnight stay. Transfer to Bologna, the gastronomic capital of Italy. Good food must help boost brain power, so that’s probably why Bologna is home to the oldest university in Europe! Fabulous dinner with typical local specialties in our hotel. Overnight stay. Visit Parma, a city in the region of Emilia-Romagna famous for its ham, parmigiano cheese, architecture and surrounding countryside. Free time to explore this city and do some shopping before returning to your hotel in Bologna. Dinner and overnight stay. 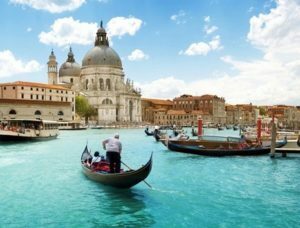 Venice guided tour: St. Mark’s Square, the Basilica and the Bridge of Sighs. Enjoy a special Venetian lunch in a city renowned for its seafood specialties. Return to Bologna for dinner and overnight stay. 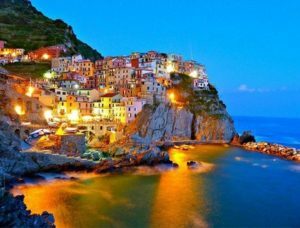 Visit the Cinque Terre, UNESCO World Heritage Site: Riomaggiore, Manarola, Corniglia, Vernazza and Monterosso. Continue on to Rapallo, a pretty seaside resort town on the Italian Riviera. After a short visit of the city center, check into a beautiful hotel and enjoy dinner with fine local wines. Overnight stay. Today’s highlight is a mini cruise to Portofino, a small fishing village with brightly colored houses that became home to the “rich and famous.” Next visit to San Fruttuoso, an isolated fishing village with the Abbey, a seashore monastery near Portofino, and Camogli, a small, charming fishing village and tourist resort. Dinner and overnight stay. 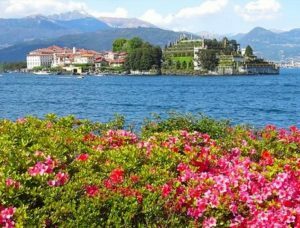 Breakfast Drive to Stresa on beautiful Lake Maggiore and visit to Isola Bella, “beautiful island,” one of the Borromean Islands of Lake Maggiore. Dinner and overnight stay. Excursion to Lugano in Switzerland. 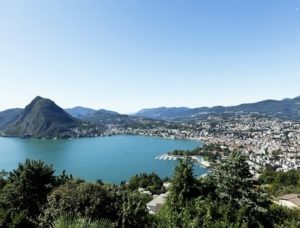 Its close proximity to Italy makes Lugano a city which has a wonderful blend of Italian charm and Swiss sophistication. Afternoon mini cruise on Lake Como. Dinner and overnight stay.